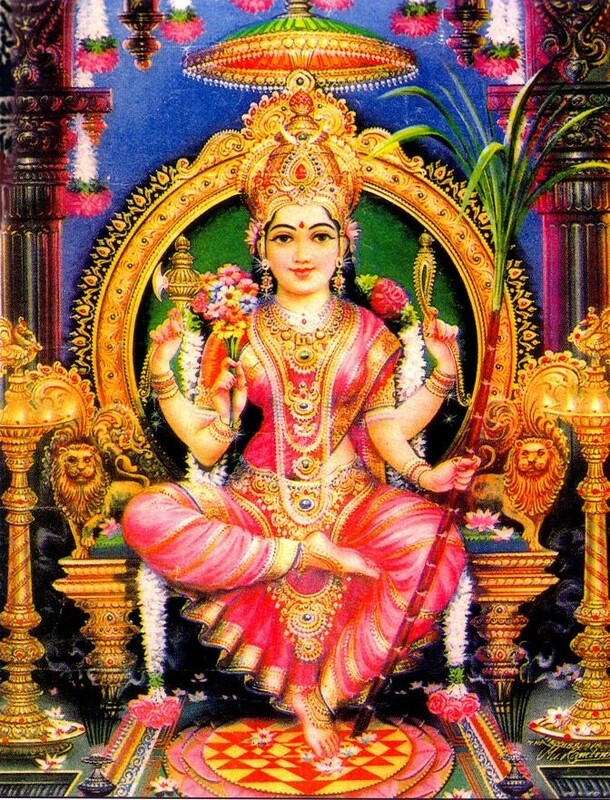 Lalita Tripura Sundari is one of the 10 Mahavidyas of tantras. She is considered to be the most beautiful woman in the three worlds and is the consort of Lord Shiva in his Kameshwara aspect. She is the object of worship of those who wish to accomplish siddhi in Sri Vidya, which grants all four purusharthas: dharma, artha, kaama, moksha. Maa Durga is Maha Gauri in her eighth manifestation worshipped during Navaratri. 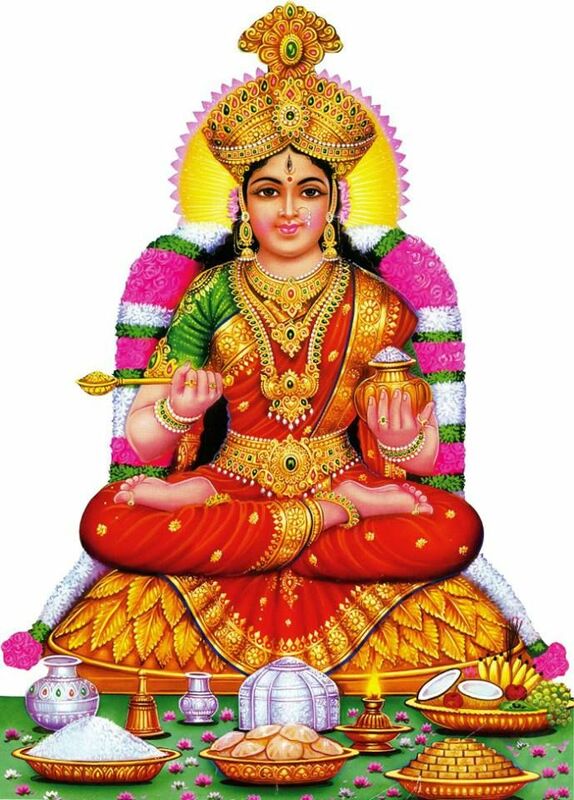 She is considered to be saumya or calm in this manifestation. Mother Gauri is Parvati in her aspect as the one who prayed for Lord Shiva as a husband. Her austerities turned her skin dark, which was then bathed by Lord Shiva Himself. 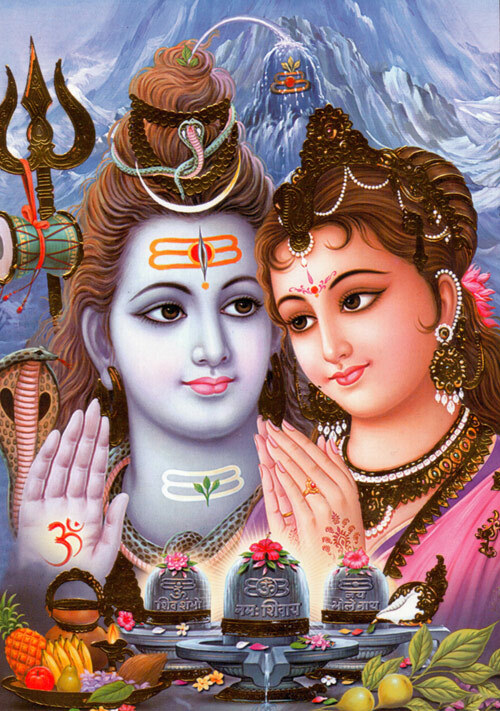 Maha Gauri is the same color as Lord Shiva – white as camphor. May Mother Gauri whose form is pleasing to Lord Shiva, our father, bless us with the service of her lotus feet! All motion is dance of Shiva’s tandava. Shiva himself cannot dance without the dance of Shakti, which is called Lasya. On the seventh night of the Navaratri, Mother Durga is worshipped as Kalaratri – the one who is Durga when she halts her Lasya between the dissolution of the Universe and the creation of a New Universe. In that that utter silence Mother Kalaratri reigns. Kalaratri has black skin, disheveled hair and she holds her hand ahead in the abhaya mudra – which says ‘fear not’. She wears lightning on her neck. 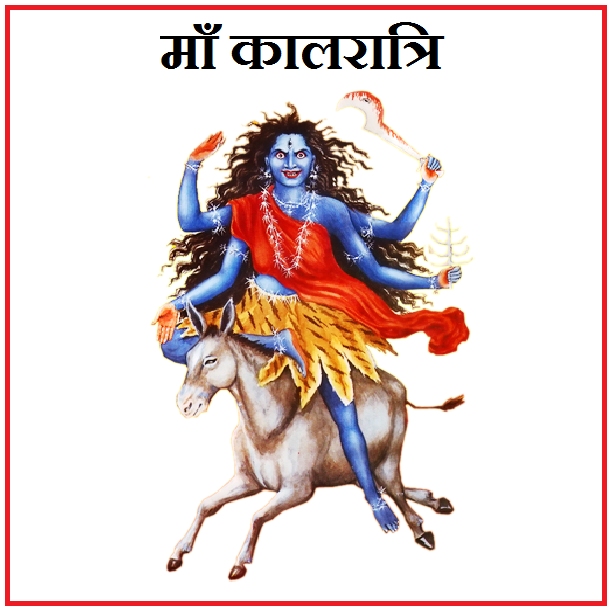 May Mother Kalratri, the one with three eyes who breathes fire and is the great fire into which the worlds are extinguished bless us all! 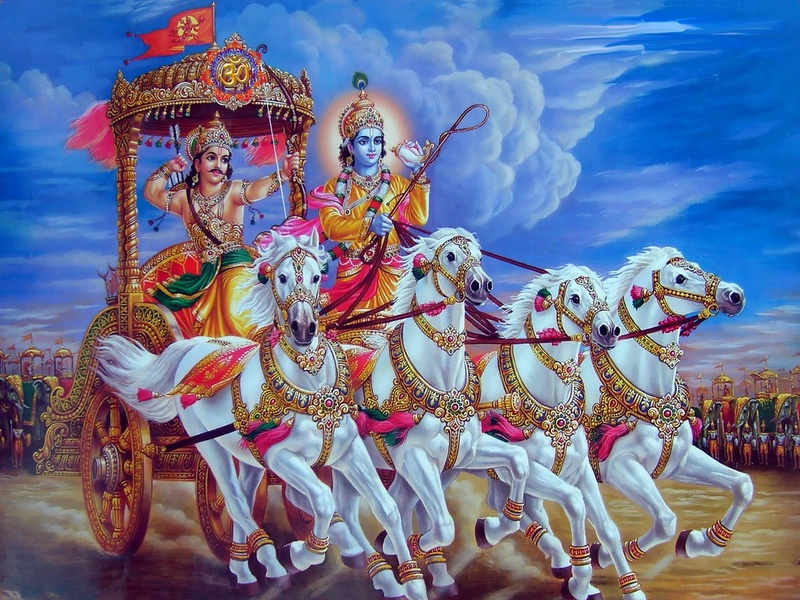 Krishna speaks to Arjun ,Hey Bharat. I reincarnate/ manifest in every aeon.